Promotional Products Are More Than Just Stuff With Your Logo. Businesses of every size have discovered how promotional products can help to grow their businesses. 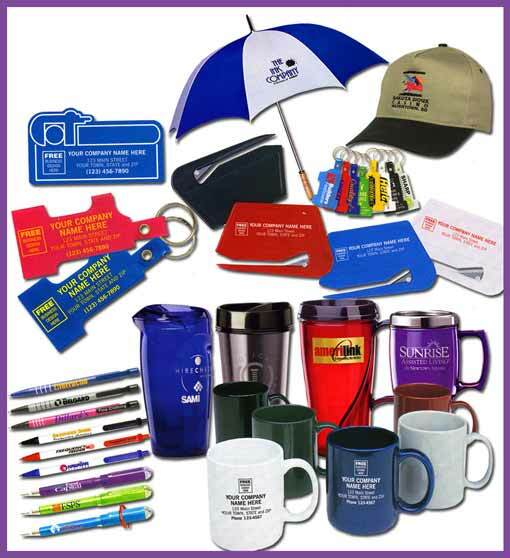 Promotional products give you an advantage over your competition and help you build valuable business relationships. They’re about the only form of marketing where people thank you for your advertising. Nothing says “Gonzo Marketing” quite like promotional products. Used correctly, promotional products are a powerful, cost effective way to market your business and reinforce your branding. Used incorrectly, promotional products burn through your budget and fry your nerves. Trying to decide which products to use for your business can drive you crazy if you don’t have an experienced promotional products consultant in your corner. If your promotional product marketing strategy involves spending hours combing through catalogs or scouring websites that all look the same, congratulations – you’re about to discover a better way. Work with Gonzo Strategies for your promotional product marketing and we’ll give you back your time and take the guesswork out of promotional product marketing. The way you think about using promotional products is about to change. Are you ready? A professional promotional products consultant does more than sell promotional products. Promotional product consultants participate in continuing education programs and stay on top of promotional product trends and technology. They focus on integrating your promotional products with your marketing strategy. Products purchased from a consultant cost the same as products purchased from others who sell promotional products. You get the benefit of their training and experience for free. As a Certified Advertising Specialist (CAS), Gonzo Strategies uses years of experience and training to make sure you get the most from your promotional product dollar. They started with the product and then tried to force it to fit their goal. There are seven steps to picking the right promotional product. Successful promotional product marketing campaigns involve choosing the product that meets your needs, not making your needs fit the product. Choosing your product is the last step in the promotional equation, not the first. Find Out More About the 7 Step Process. There are four primary uses for promotional products, ranging from low-cost giveaways to high-value “thank you” gifts. If you use low cost giveaways to thank your high value customers you risk giving the impression that you don’t really value them. On the other hand, if you use items that are too high end for giveaways you’re going to drain your budget quickly. Sometimes the cheapest option is the most expensive one. There are some great promotional product suppliers, but there are also suppliers who don’t have very high quality standards. Saving a few cents on a calculator that doesn’t work can be an expensive mistake. Gonzo Strategies uses an industry-specific tool to check the quality of the suppliers we use. We will never give you product recommendation from suppliers with questionable reputations.